Shopping is a big part of traveling in Beijing. There are numourous superstores and mega-malls spreading across the city, offering anything from original Chinese handicrafts to international designer fashion. Most shops are open daily 9:00-22:00. Although malls and shopping centers are becoming more popular, most of local residents still enjoy shopping in markets. Whether indoors or out, these markets are inexpensive, chaotic and, for the tourists, extraordinarily interesting. 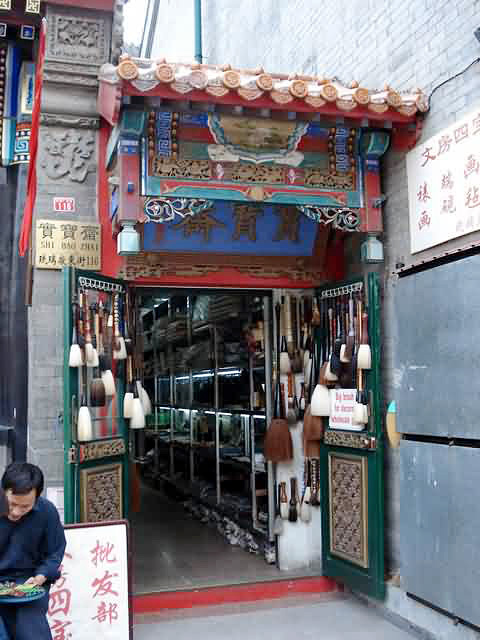 A wide range of consumer goods are available here, from cashmere and silk to antiques, traditional art, cloisonne, lacquerware, Ming furniture and tons of miscellaneous Chinese doodads. It is most likely you can buy anything you can think of. Here payment is in cash and bargaining is essential. If you plan to make big purchases, try to educate yourself about quality and price well beforehand. 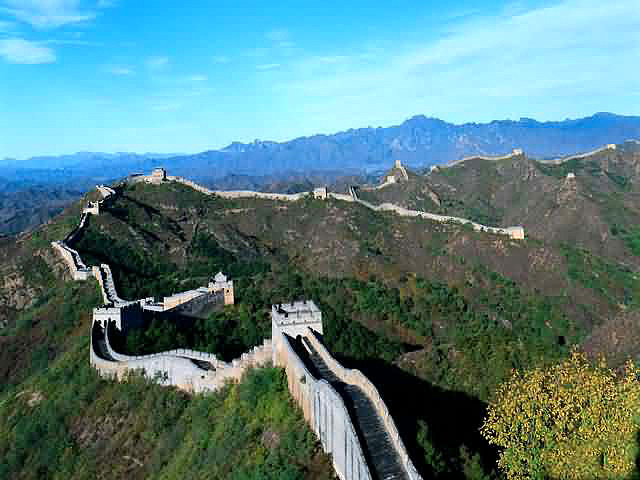 It should make your tour more memorable to experience the thrills and adventures of bargaining while shopping in Beijing. Wangfujing Street is the grandest shopping area in Beijing and a prestigious partly pedestrianised street popular with tourists and locals. 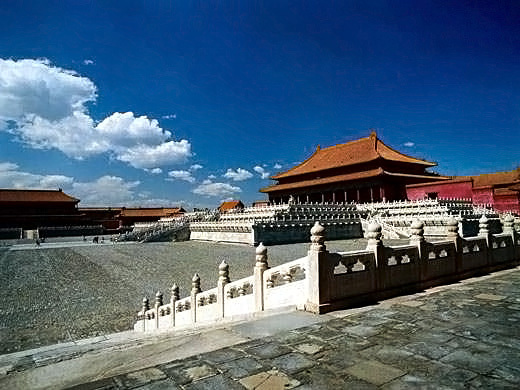 Located in the east of the Forbidden City, the street is also one of China 's oldest commercial areas. Since the middle of the Ming dynasty (1368-1644) there have been commercial activities in this place and ten mansions for noblemen were built there then. 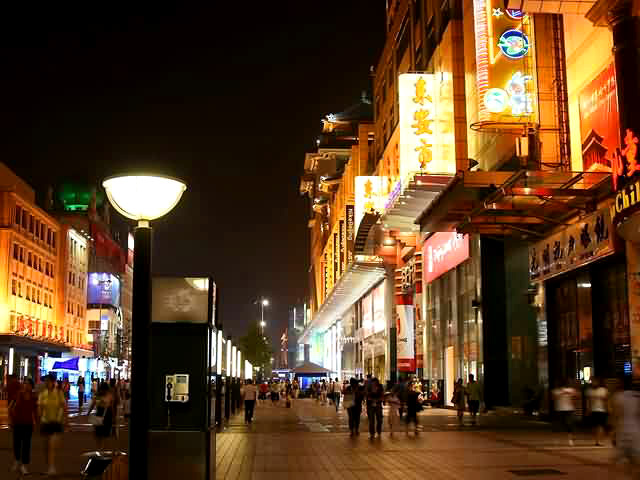 Wangfujing Shopping Street is congested with modern shopping malls, such as the Oriental Plaza, Wangfujing Department Store, Foreign Language Bookstore, Danyao Building, Gongmei Building and Sun Dong An Plaza etc. 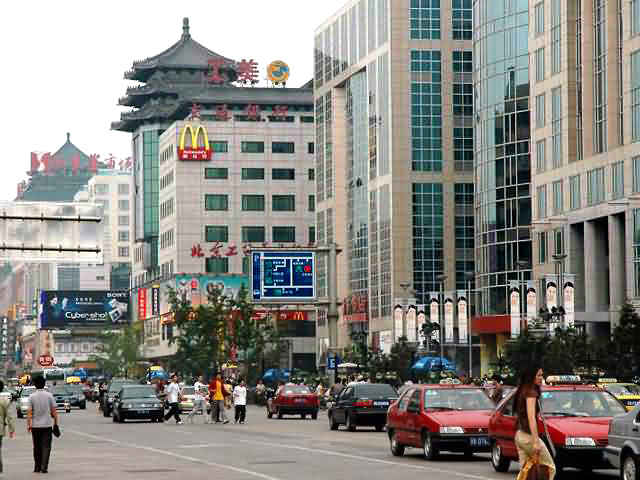 It is also home to a wealth of hotels, specialty shops and famous long-established stores, including a number of old Beijing brands like the Shengxifu Hat Store, Tongshenghe Shoe Store and Wuyutai Tea House. 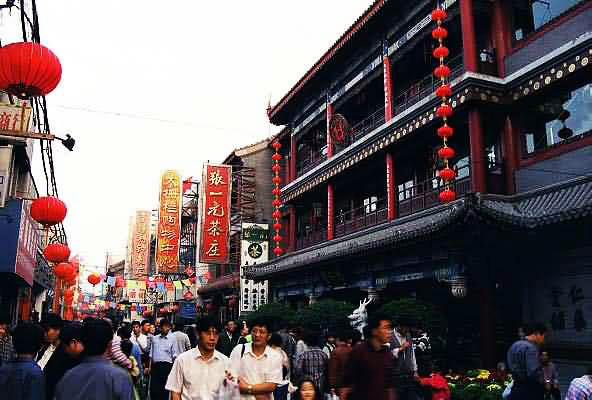 For any Beijing shopping trip, a visit to Wangfujing is anesessential part for both its modern shopping atmosphere and traditional style. 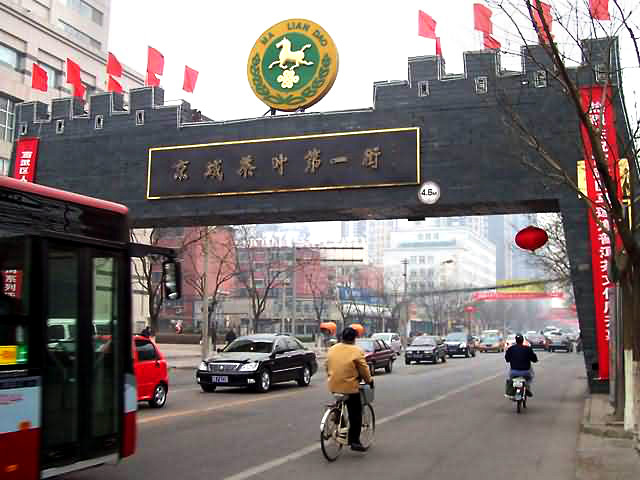 Dashilan is the oldest and perhaps one of Beijing 's most fascinating streets to explore. If the Forbidden City has been a capsule of China's royal culture since the Ming Dynasty (1368 - 1644), then the Dashilan area in Qianmen is that of the common people 's culture over the same period. The streets and hutongs around this district are still thriving and filled with the hustle and bustle of city life. Now cinemas, video halls, Karaoke bars and clubs jostle with traditional Chinese shops and teahouses for space and attention in this intriguing section of the capital. Having moved indoors in 2005, Beijing's most famous market among foreign visitors is a crowded maze of stalls with a large selection of shoes and clothing. You won 't find much silk here, but you will find plenty of copies of Western sportswear and other clothing brands, as well as watches and cashmere. 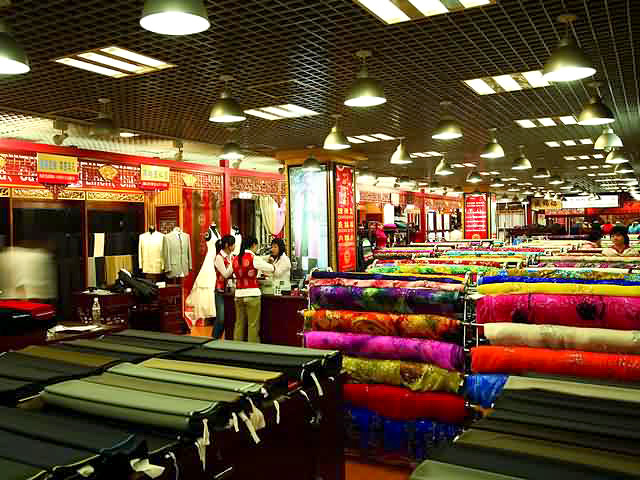 Tourist can buy various commodities here in addition to the traditional Chinese silk products. 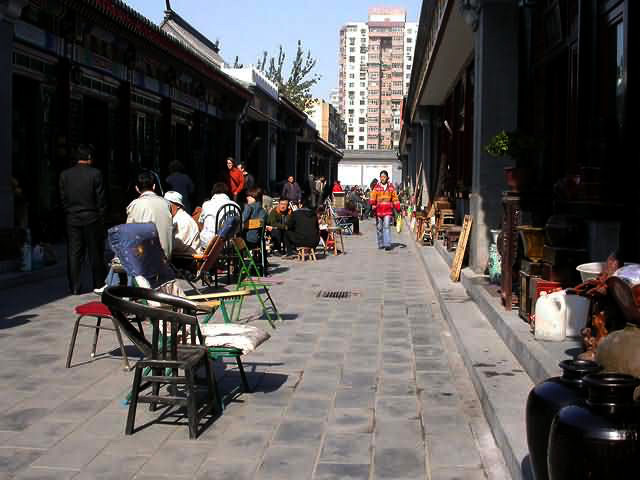 Liulichang Street is an almost too-quaint collection of art, book, tea, and antiques shops lined up side by side in a polished-for-tourists old Beijing-style hutong. The street is good for window-shopping strolls and small purchases--like the unavoidable chop (stone or jade stamp) carved with your name, but be aware of big purchases as clerks will often raise the prices for all white-skinned clientele. Shops and houses of gray tiles and bricks together with colored sculptures along the street A good place to shop calligraphy, painting and other artworks of China. This is the Chinese shopping experience of dreams: row upon crowded row of calligraphy, jewelry, ceramics, teapots, ethnic clothing, Buddha statues, paper lanterns, PLA belts, little wooden boxes, and Ming- and Qing-style furniture. The market is also known as the Dirt or Ghost Market. There are some real antiques scattered among the junk, but you'd have to be an expert to pick them out. Locals arrive Saturday and Sunday mornings at dawn or shortly after (hence the "ghost" label) to find the best stuff; while vendors start to leave around 4 pm. Panjiayuan market is located on the south side of Panjiayuan Lu, just inside the southeast corner of the Third Ring Road. Located in southwestern Xuanwu District, Maliandao Tea Street has everything a tea lover could dream of. There are almost one thousand tea-stores offering leaves from the largest seven tea producing areas of China. 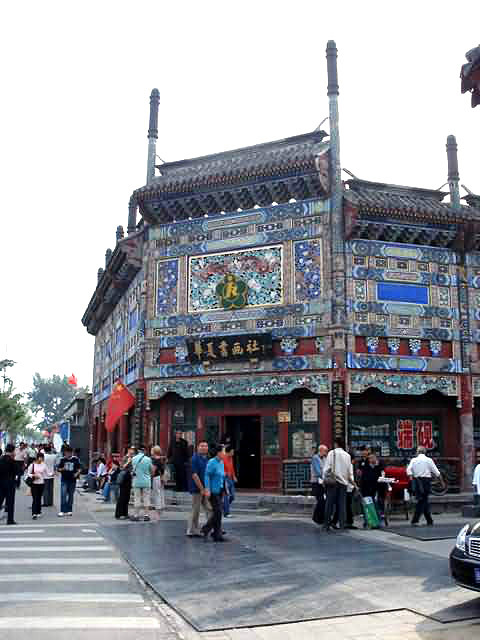 All kinds of tea can be found here and it is popular with both Beijingers and visitors. Maliandao can be daunting for first-timers, with its boisterous teashops selling thousands of different teas and its less-than-glamorous restrooms. But it makes for a perfect day trip for those looking for some culture and adventure. Bargaining is the rule here in Beijing, at least at the many markets and back-street clothes stalls. Bargaining is an art and if you are unfamiliar with it we'd like to offer you some advice. The tips here are Beijing specific but may help you at any place in the world where bargaining is practiced. DO NOT say how much you want to pay for an item unless it 's near the end of the process. Always try to drop the seller's offering price as much as possible before opening your mouth with a price. DO start off as low or lower than you think can possibly get away with. Sometimes the asking price is raised as much as ten or a hundred times what the seller really expects to get for it. DO keep smiling throughout. The seller is much more likely to continue bargaining with a happy smiling face. Getting angry rarely gets you the price you want. DO walk away once you 've given them your final price, even before. If you get called back, you know you are close. If you do not get called back, go to a similar stall and try again with a slightly higher price.